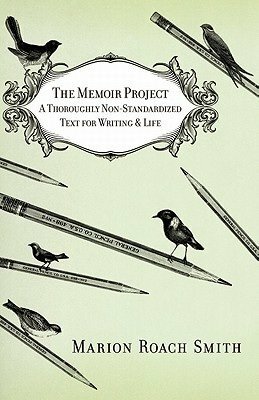 The following is excerpted from The Memoir Project: A Thoroughly Non-Standardized Text for Writing & Life by Marion Roach Smith. Never write a story because you want to exact revenge or betray someone. Your story can be about revenge, absolutely, but the story itself should not be wielded as a blunt object, a cat-o’-nine-tails, or a bludgeon. Pretty big requirement, isn’t it? It should be, or else all memoir would be sniveling, and I’m really interested in someone else’s sniveling only if it somehow elevates my own. So remember, just like doctors do, “First, do no harm,” and don’t get suckered into a revenge-to-nowhere tale, where you ask forever how you can get back at someone without ever quite doing so. Asking the question “What is it about?” will prevent that kind of useless exercise. Ask that, and while the answer might be, “revenge,” you will end up writing a piece on how you tried to get some, what you learned along the way, or how you plotted and plotted and where that led you. Writing a tale that seeks revenge, you’ll quickly see that tale as merely a list of hurts, which, when you get to the end of that list, is a list that may not interest even you anymore. Revenge as a topic is good; as an intent, it’s not. This is another benefit to writing with intent, instead of writing for exercise. That may take some time. But you can do this now: You can decide on a genre—humor, perhaps—and choose how to illustrate it. What will not work is the phrase “This is a tragedy and the illustration is my marriage.” This is too big. On the enormous topic of your marriage, look instead for the moment it shifted—the discovery of the Polaroids that revealed where it is your spouse would rather be; the first time your wife didn’t get choked up at someone else’s wedding; alone, trying to snap the safety clasp of your bracelet after the death of your partner—and we will see the tragedy. Capture the moment of “aha!” and you’ll find one specific story that you can drive forward. Do you see what is happening here? You are shifting yourself—your story—into a new position of importance, where you are no longer the center of the tale. Repeat: I am not the story. Exactly. You are the illustration. You are the picture in the frame, the lozenge in the wrapper. Get that, and when you do, you will see how your story—the illustration of the theme—gets shifted to the second phrase of this sentence and, by extension, to its proper place. Posted in Creativity + Inspiration, Guest Post, Life Philosophy, Writing Advice. Marion Roach Smith has taught a sold-out class called "Writing What You Know" since 1998. She is a graduate of St. Lawrence University and the author of The Roots of Desire and Another Name for Madness. A former staff member of the New York Times and a contributor to NPR's All Things Considered, she writes and records daily and weekly spots on Martha Stewart Living Radio. Great points in this post. You’re right – I don’t want to read (only) the sniveling. I’m more interested in the metamorphosis. Lovely, to suggest writers zoom in on a moment, opening readers into a specific character, crisis or world. I’ll be keeping this in mind as I write my next short fiction and memoir. “The thousand injuries of Fortunato I had borne as best I could, but when he ventured upon insult, I vowed revenge.” What this classic opening reveals is that the unnamed narrator is an unspeakable, icky nutcase. Revenge is a losing game. I am honored and delighted to be featured here. Thanks so much, Jane. Great post. This subject needs to be addressed more often. The revenge memoir is one of the reasons I stopped doing private editing. Probably 70% of potential clients were writing memoirs to “get even” or “set the record straight” on things of no interest to anybody but themselves. Unless they are very, very funny, these things are embarrassing, unreadable snoozefests. Revenge memoirs are dangerous, and can certainly fray any number of relationships. But any book, even a fictionalized book, based at all on real people can get a writer in trouble, even if the character/person is presented in a positive light. Some people have very strict notions about privacy that many writers do not share. We writers spend so much time considering psychology, motivation, intentions, and life’s difficulties that stuff that seems obvious to us may seem very private to others. It’s a sticky and dangerous business.